What girl doesn’t love the feeling of accomplishment after making your own crafts and seeing them displayed? Well, remember the cute Harvest wood signs we shared last week? 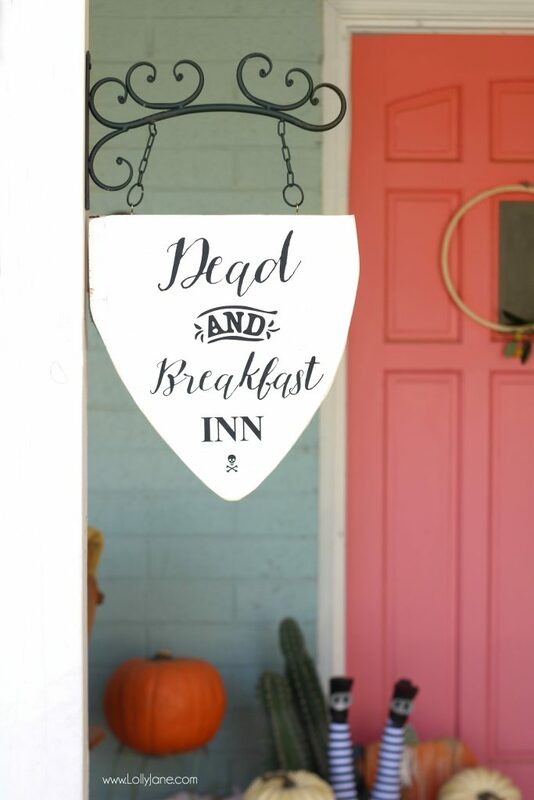 Here’s our spin on it, our “Dead and Breakfast Inn” hanging sign… the perfect way to greet our guests this spooky season! And I love that it was as easy as pumpkin pie to make! 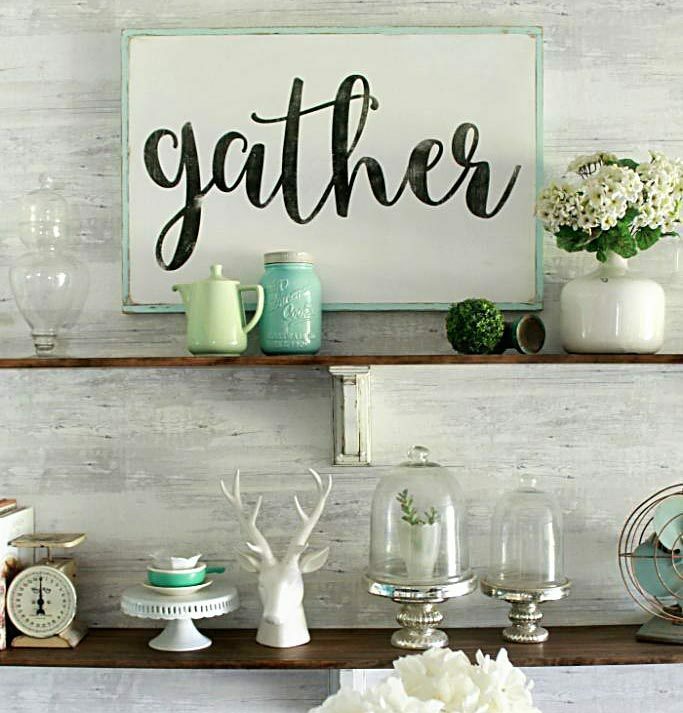 This would be just as cute as a yard sign (see inspo pic below) if you put a stake in it instead. 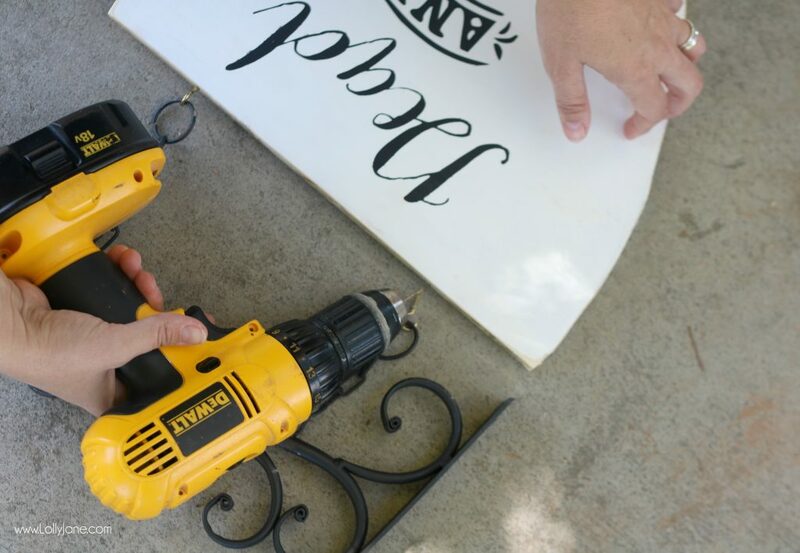 Click HERE for the tutorial to the Harvest Yard Sign! We used basic tools to make this and cut the shape from our jigsaw. 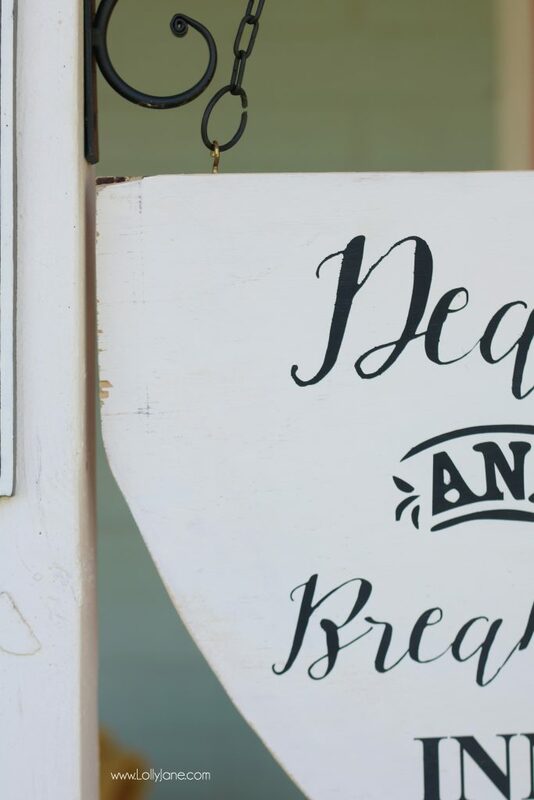 I had this metal scroll hanger in my decor stash but you can build one from wood or buy one, so cute to hang this cutie from! I added some eye hooks to the top (I pre-drilled holes so it wouldn’t split the wood) and now it’s ready to hang! 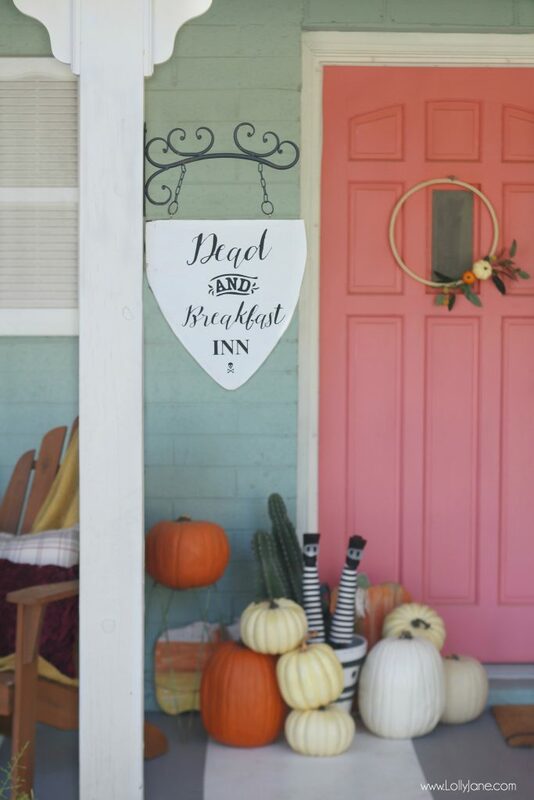 Such an easy project but makes a big statement on my porch welcoming Halloween! If you’re free this Thursday, grab a girlfriend or two and head to Home Depot to make your own! 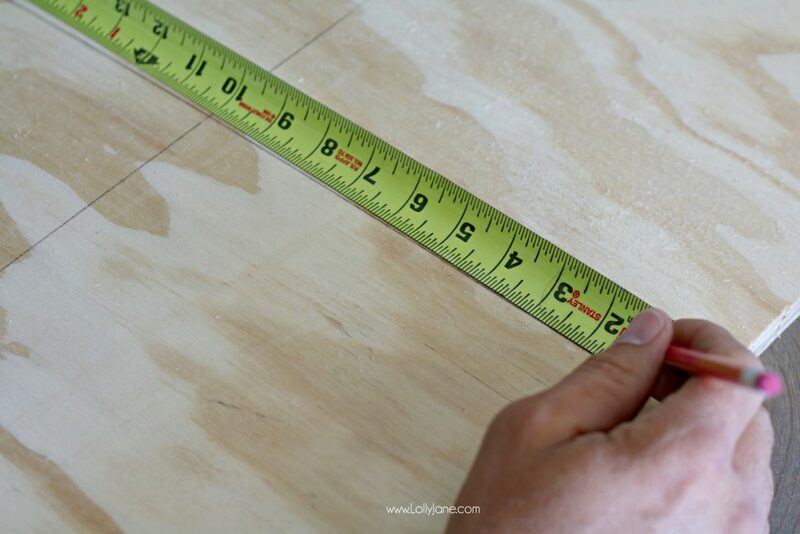 You can always come home with your cut shape and follow our tutorial to finish it off. 😉 PLEASE PIN so your pals can make this too! Want to see even more ideas with how to decorate for autumn outdoors? 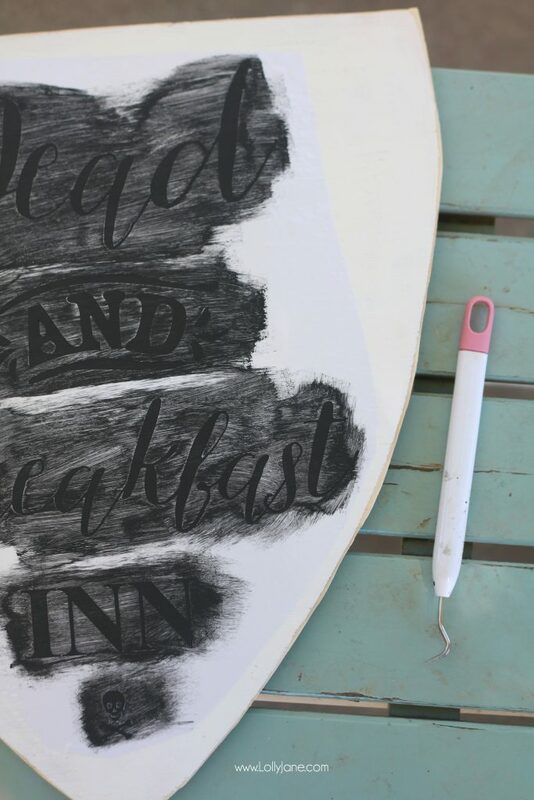 Check out these creative projects! Yes we are all in the hotel managment business now! So fun and creative. Love it!! I bet the kids love it too! The sign is so cute! Would look great on my front porch : ). Thanks, Lisa, so glad you like it! Lovely craft! I think it makes for a perfect Fall decoration piece, not just for Halloween. 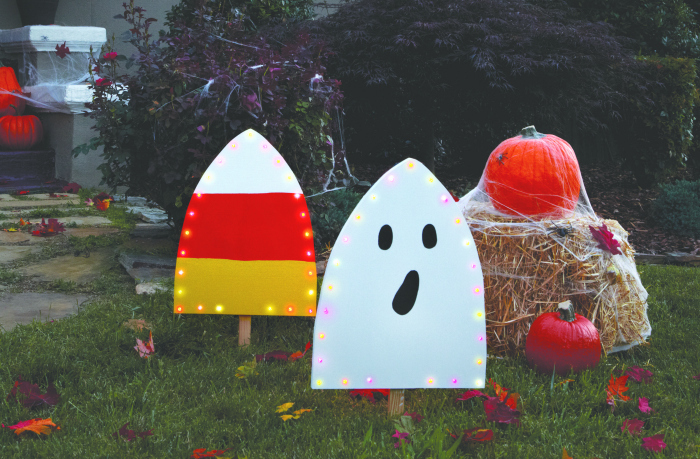 A front door Halloween sign is on the list for sure this year. Thank you for the clear and easy to follow tutorial. Pinning. 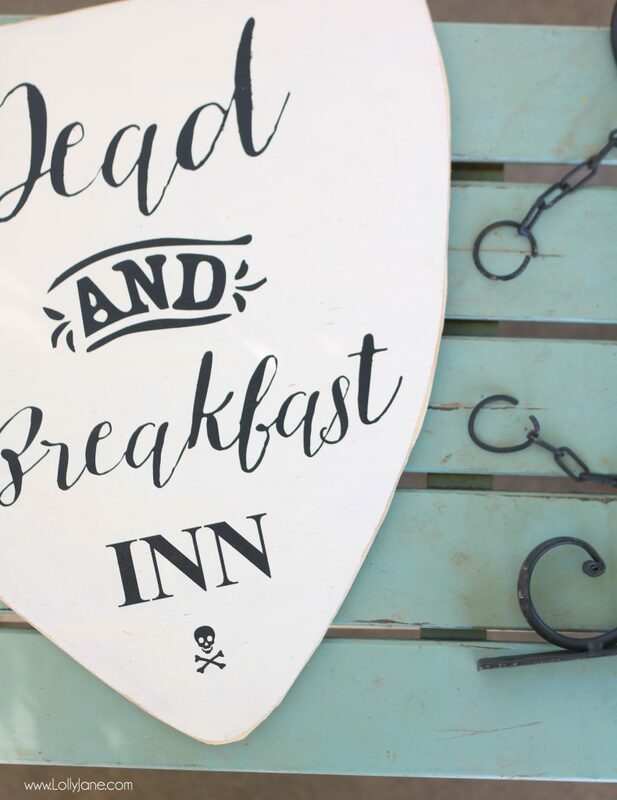 Would love your dead and breakfast sign pattern. Thanks for sharing your talents with us by always giving us something fun for each holiday! So cute! I would love the cut file!! So cute! Would you please send the cut file to cberk10@aol.com? Thank you!